Set on a 520-acre coastal estate, Fairmont St Andrews offers extensive golf, leisure, and spa facilities and is only three miles away from the iconic St Andrews Castle. 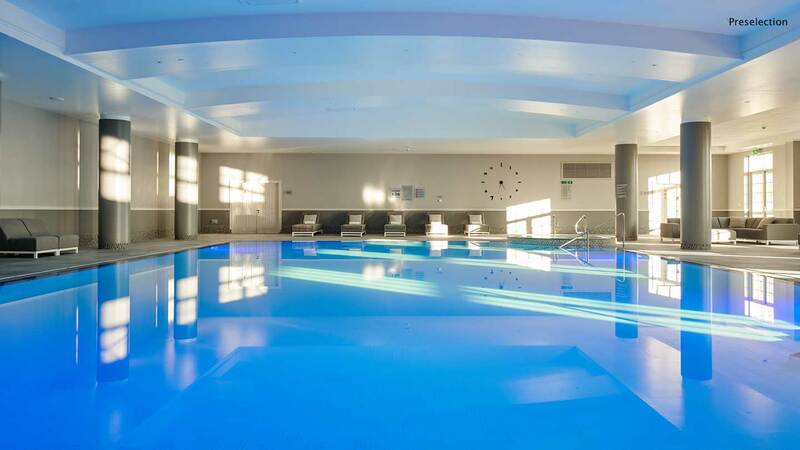 The Spa can be found on the ground floor of the hotel and offers a range of treatments which include locally-themed massages, facial and relaxation therapies, from spa brands Aromatherapy Associates, Caudalie, Ishga, Little Butterfly and OPI. 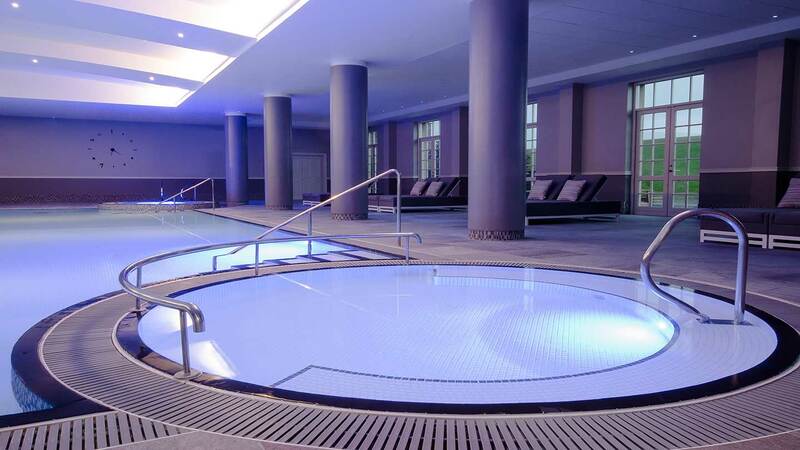 The spa comprises of a 16 metre pool with loungers, sauna, steam room and Jacuzzi complete the relaxation facilities. Those who wish to work out during their visit, a fully equipped gymnasium with cardio vascular machines and classes including pilates, spinning and boxercise are available. 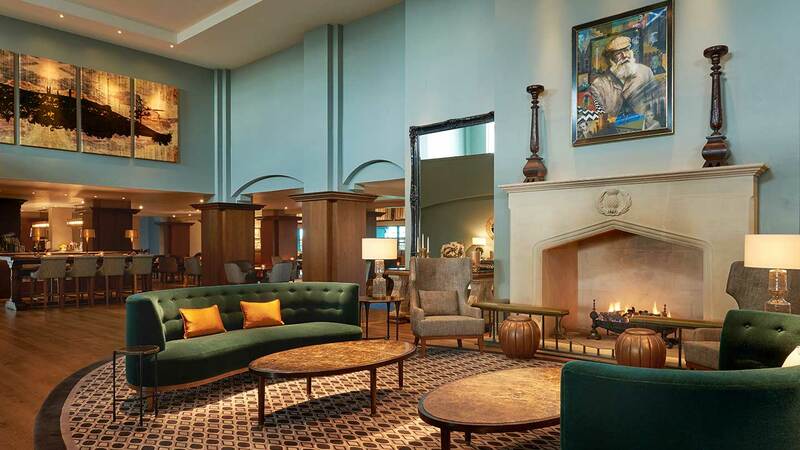 Luxury hotel group Fairmont has created a destination in its own right in the home of golf, with access to two golf courses, a spa, dining options, and breathtaking cliff-top views of the North Sea. The coastal road to the hotel runs alongside one of the golf courses. The long driveway leads to an imposing modern building. A doorman greeted us, took our luggage, and parked the car. The reception area is grand and dignified, with a gigantic marble hearth. On either side shine mirrors with huge sofas and armchairs. The entrance to the spa is on the floor below in the huge light-filled atrium. Floating over this space is a 60-metre kinetic artwork called the Zephyr, with twenty thousand metal discs resembling a cloud, that twists and turns as the sun changes throughout the day. The reception area is spacious and beautifully laid out. The wall cabinets displayed an array of spa products, while fragranced candles scented the air. At the reception desk, friendly staff welcomed us and took us to a cosy room with neutral tones and tartans to complete a consultation form. To reach the changing rooms, you walk down a long, wide passageway. Along one of the walls is a wave-like sculpture put together from individual pieces of driftwood from the beach. The artwork sets a tranquil tone. The changing rooms have a health-club feel. The lockers are electronic, so no messing around with coins. The three showers with frosted-glass doors were each stocked with Fairmont-branded body wash, shampoo and conditioner. There were banks of soft towels, which was a pleasure to see, and two private cubicles to change in. The vanity stations had cotton buds, pads, and tissues, four hairdryers and well-lit mirrors. The pool room is large, with lots of space around the 16-metre pool. The pool is the right temperature for swimming but not for drifting about in. The room has plenty of loungers and, along the length of the outside wall, sets of French doors that open onto the grounds. At one end of the pool is a circular Jacuzzi, which was comfortingly warm; at the other, a separate splash-pool for children. The aromatherapy steam room and wooden sauna would both seat four or five people comfortably and were efficiently warm on our visit. You can cool down in between heat experiences with the bucket shower. The main relaxation room is comfortable, with four loungers and a couple of chairs. The relaxation loungers were cosy but there are no screens between them, meaning that you don't get a lot of privacy. The gym has a good range of equipment alongside the distraction, through the full-length windows, of the stunning landscape. 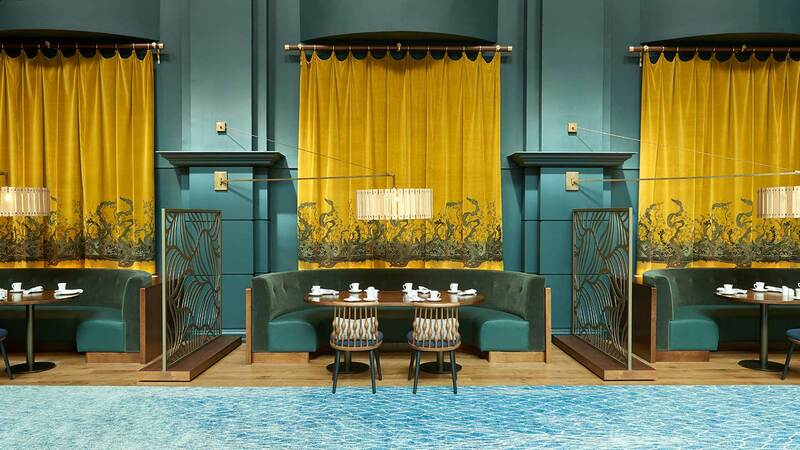 We tried the "Beside the sea" (120 minutes, £170). Sarah, my therapist, took me through to one of the twelve treatment rooms. It was spacious, dimly lit, with natural colours, wooden floors and candles flickering. We started with me lying face down on the treatment bed for a Scottish seaweed, salt and oil scrub. Sarah efficiently scrubbed my back then my front, then I hopped into the shower to rinse it all off, finding that my skin already felt soft and smooth. Once I got back on the treatment bed, under a soft, comfortable duvet, Sarah treated me to a back, neck and shoulder massage that was pleasant rather than painful. Sarah massaged my legs and arms, but a real joy was her foot massage: very relaxing. For the facial, Sarah wrapped up my hair to keep it out of the way. She began with a cleanse, and a spritz of toner which smelled delicious. The highlight of the facial was the massage, including lymphatic drainage strokes. Lovely. Sarah painted on a mask and, while this set, treated me to an even more lovely scalp massage. When the treatment was over, Sarah brought me a glass of water. She waited outside while I gathered my senses, then took me to the relaxation room, where I did indeed relax with some mint tea and dried fruit. 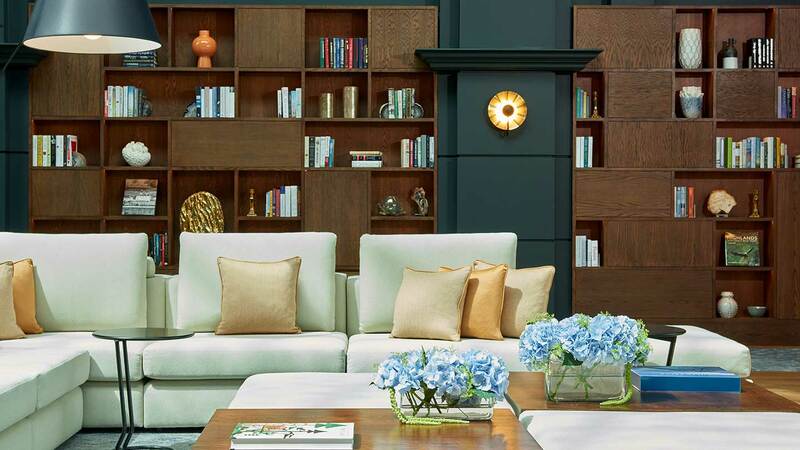 The Fairmont Spa offers a range of treatments from Aromatherapy Associates, Ishga and Caudalie. 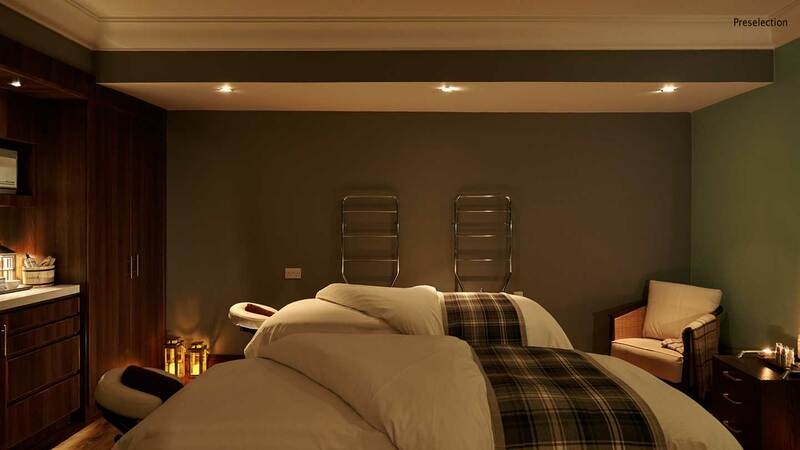 You can try various massages, including one for golfers, and one using hot Scottish basalt stones, alongside holistic therapies such as reflexology. The spa menu offers facials, scrubs and wraps to suit a variety of preferences. A dedicated massage treatment for mums-to-be and new mums uses Little Butterfly products. You can also sail out looking beautiful with OPI manicures and pedicures. To really make the most of your time, though, look out for one of the spa's good-value spa days. We had afternoon tea served in the Atrium Lounge, which was fun and never-ending. Cakes and sandwiches arrived, plus scones with cream, jam, rose-petal preserve and lemon curd, followed by more cakes -- some of which we ended up putting in a box and taking home. The cakes were exquisitely made and delicious. We are assured you can eat in your robes here but we would have been the only ones doing so on our visit. You could also opt for a "Detox Lunch" upstairs in Kittock's Den, which may be preferable if you don't have a sweet tooth. You can choose from chicken, salad and sashimi. In the evening, we ate at St Andrews Bar & Grill; the concierge will take you by shuttle bus to the cliff-edge location. The staff were very attentive, polite and friendly. The steaks were cooked well, with good seasoning, and somehow tasted even better because of the gorgeous sunset views out over the sea. The large and bright pool room with its many loungers to relax on. 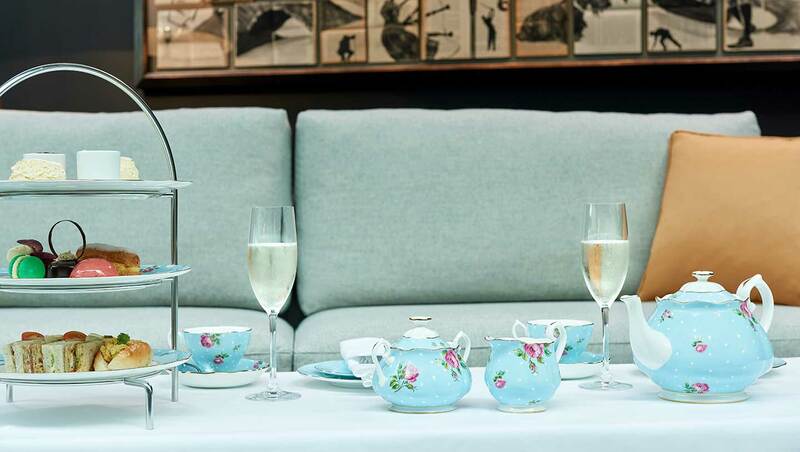 Our delicious afternoon tea, served on authentic china floral tea sets, was a lovely way to end our spa day. The health-club feel of the changing rooms. 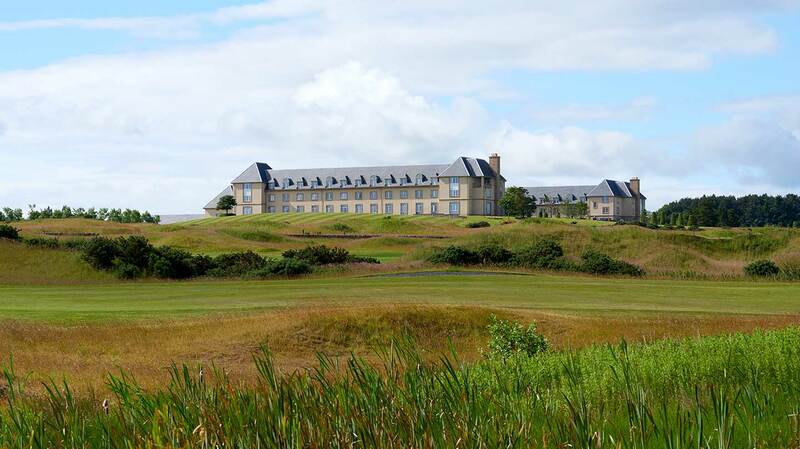 Fairmont St Andrews is ideal for couples on a romantic break, golf widows and groups of friends. Oh, and golfers, obviously! We gave Fairmont St Andrews a Good Spa Guide Bubble rating of 4 Bubbles because so much about this locally inspired spa is delightful: the location, the views, and the range of treatments. You could easily spend a happy half-day in the spa then enjoy afternoon tea in the atrium. That said, the thermal facilities are limited and the changing rooms can get very busy -- a few more luxurious touches wouldn’t go amiss, either. Single Spy visited in September 2018 and awarded it 4 Bubbles.